Thanks to the blessings of our Heavenly Father, excellent medical care from Alta View Internal Medicine Associates and Utah Cancer Specialists, and her own incredible strength and courage, we were blessed to have our wonderful wife, sister, mother, grandmother, and friend, Dorothy Rose Anderson Buckwalter, with us for 22 years after being diagnosed with breast cancer. Dorothy passed to the next life on Tuesday, March 12, 2019, surrounded by loving members of her family. Dorothy was born in Salt Lake City on August 27, 1945 to Earl and Zola Grant Anderson. 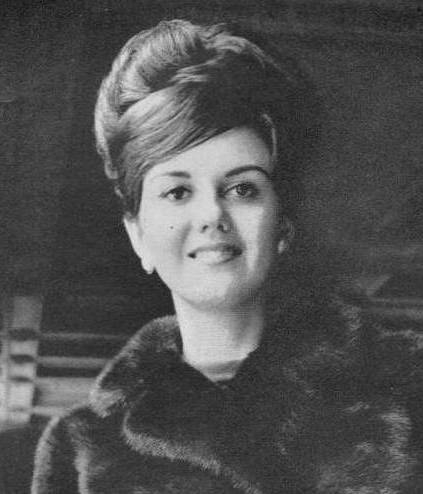 She grew up in American Fork, was selected as Miss American Fork 1963, and participated in the Miss Utah contest. She afterwards modeled for the Great Lakes Mink Association in New York City and other locations. The included photo shown here on the left was taken at the Cloisters and was published in Town and Country magazine in 1964. Dorothy graduated from University of Utah with a degree in Elementary Education, and she and her eternal sweetheart, Ross M. Buckwalter, were married for time and eternity in the Salt Lake Temple, March 15, 1968. During the early years she taught kindergarten in San Mateo, CA, and in the Panama Canal Zone. Following their time in Panama, they moved home to Holladay, then later to Sandy, where they have resided for the past 41 years. She became the loving mother of 5 children and truly enjoyed sharing with them the wonders of nature and the miracles of this beautiful earth. Dorothy also enjoyed sewing and reading and often had a different book open in each room of the home. She enjoyed skiing together with Ross and her children for 50 years. 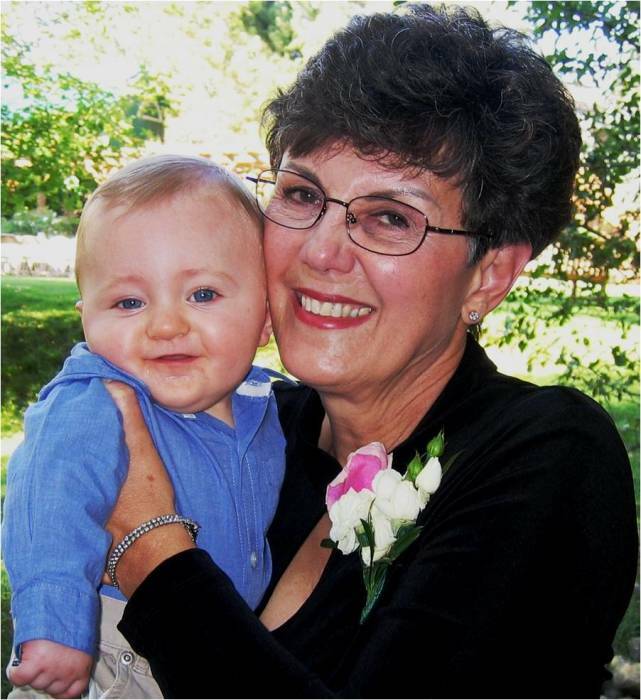 Most of all, she loved her dear husband, their children, and their grandchildren. The photo on the right shows Grandma Dorothy with grandson Carson. Dorothy was a lifelong active and dedicated member of the Church of Jesus Christ of Latter-day Saints. She served in many callings, especially in Primary and Relief Society. She performed an Extraction mission and spent several years serving at the Jordan River Temple. She and Ross served a FamilySearch mission in Edinburgh, Scotland, from 2008 to 2010, performing digital photography of records at the National Archives of Scotland. In addition to this full-time assignment they also accepted a call to help begin the Young Single Adults program in the Edinburgh Stake. They loved both assignments and have stayed in touch with many dear friends in Edinburgh since returning home. In the 10 years since Ross’s retirement, they have been blessed to be together nearly every day. They have worked diligently at Family History for their own families and have served in their Ward and Stake, helping many others to learn and do this wonderful work. As a result of their extensive research, they have written and published books on the rescue of the 1856 handcart companies and on the history of the Buckwalter family dating from 1720 when the immigrant ancestor arrived in Pennsylvania. Dorothy is greatly loved and will be greatly missed. We are so very grateful for the knowledge that we will be with her again. Dorothy is survived by her loving husband Ross, her brother Alan Anderson and sister Janet Stufflebeam, her daughter Marielle (Taylor) and sons and daughters-in-law Matt and Kristen (Courtney, Robbie, Ryan), David and Erica (Olivia, Blake, Allison, Peter), Ryan and Mindi (Kamryn, Carson, Weston), and Mike and Camie (Peyton). Dorothy’s funeral will be held Monday, March 25 at 11:00 a.m.at the Lone Hollow Ward, 2195 East Pepperwood Drive, Sandy, Utah, with a viewing prior from 9:30 to 10:30 a.m. There will also be a viewing from 6:00 to 8:00 the previous evening (Sunday, 3/24) at the same location. Interment will be in the American Fork Cemetery at 2:00 pm.